This is the third in a six-part series that will run over the course of the next two months as the 2018-19 Western Hockey League season draws to a close. 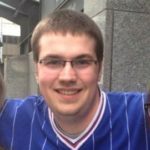 As each of the 22 teams wrap up their campaigns, we’ll look back and how their years went, how wrong Daily Herald sports reporter Lucas Punkari was in his assessments of each club and what the future holds for them. With two of the top overagers in the league in Dante Hannoun and Griffin Outhouse, the Royals surprise many throughout the course of the campaign and earn home ice for the opening round of the playoffs. In addition to postponing their Memorial Cup bid until 2023, the Royals fall back in the standings early and trade away their top players. They end up finishing at the bottom of the division and a youth movement begins in full force. 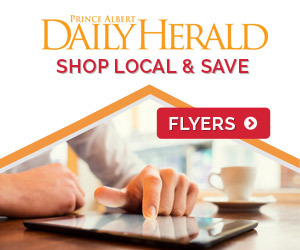 Although they ended up dealing Hannoun to the Prince Albert Raiders, the Royals were still able to earn home ice advantage for the opening round of the playoffs, though a weak BC Division may have helped out with that. Outhouse made a bevy of saves in the post-season, but a strong Vancouver Giants side proved too much to overcome. Other than overager Kody McDonald, everyone can return up front for the Royals, though it remains to be seen if 19-year-old import forward Igor Martynov will be back as a double slot player. As a result, this could be one of the more interesting offences in the league next year with a lot of unheralded but solid players. Scott Walford has yet to sign with the Montreal Canadiens and can come back as a 20-year-old, which would be great for a defence that looks to be on the younger side. However, the departure of Outhouse is the biggest question mark with the Royals roster coming into next season, as 2001-born netminder Brock Gould is seemingly leading the way unless someone is brought in over the summer. The continuing development of the forwards and defenders, plus a return to form for goaltender Carl Stankowski, moves the Hitmen up in the standings and has them in the discussion for a division crown. Stankowski is forced to the sidelines with injuries and Matthew Armitage doesn’t cut the mustard as a starter. Meanwhile, the youngsters don’t make the next step forward and the Hitmen miss out on the playoffs for a second straight year. 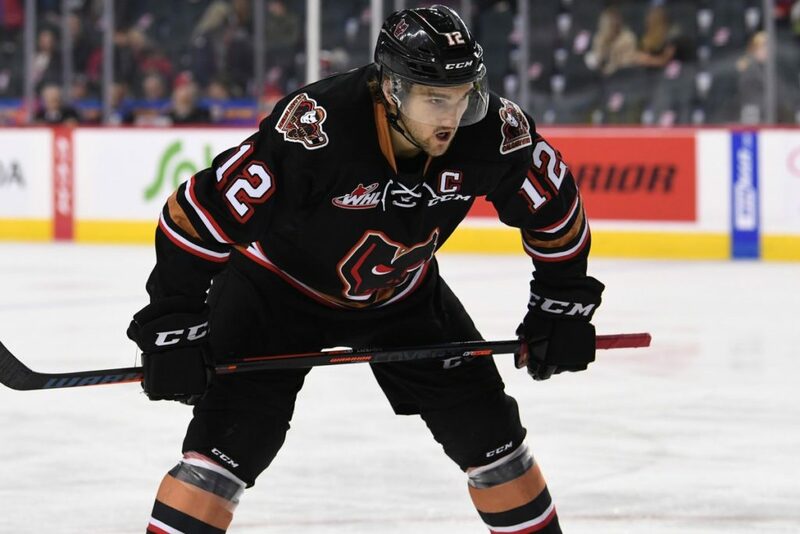 Despite a rough start and a number of injuries, the Hitmen had a strong season and picked up their first playoff series win since 2015 with an opening round upset of the Lethbridge Hurricanes. It may not look like it with how the series ended, but the Hitmen had some close battles with the Oil Kings as two of their four games went to overtime. Although all three of their graduating 1998-born players (Luke Coleman, Kaden Elder and Jake Kryski) are forwards, the depth up front looks pretty darn good. Barring pro deals, Mark Kastelic and James Malm can come back as overagers, while the likes of Carson Focht and Riley Stotts will also be expected to lead the way on offence. The defence looks pretty solid, even with the potential loss of unsigned Nashville Predators draft pick Vladislav Yeryomenko, and Jack McNaughton will enter his first full-time campaign as a starter after coming out of nowhere to surpass Stankowski for the job. It’s a long way until the season starts in September, but the Hitmen might enter the 2019-20 campaign as the early favourites to win it all. With a strong offensive core and a talented young netminder in Nolan Maier, the Blades not only make the playoffs but earn their first post-season series win since 2011. Plus, they end up getting top prospect Matthew Savoie in the WHL Bantam Draft thanks to their deadline move with the Regina Pats last year. The defence never really gets into gear and Maier takes a step back. The Blades snap their post-season drought, but an early exit leads to more questions as they wait for their window to open. 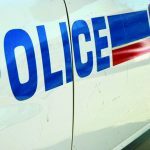 With a number of moves to strengthen the offence and defence, the Blades made it back to the post-season and earned their first playoff series win in eight years by sweeping the Moose Jaw Warriors. In addition to being one of the league’s hottest teams after Christmas, the Blades also won 13 straight games at SaskTel Centre before their biggest rivals brought an end to the campaign. Although they didn’t luck out at the draft lottery to earn the rights to the first overall pick, everything else is looking good for the Blades. They have a number of weapons on offence with Kirby Dach leading the charge and Maier should continue to get better as he enters his third season as a starter. The biggest question mark at the moment though is with the defence, especially as Dawson Davidson and Brandon Schuldhaus are both leaving the league. 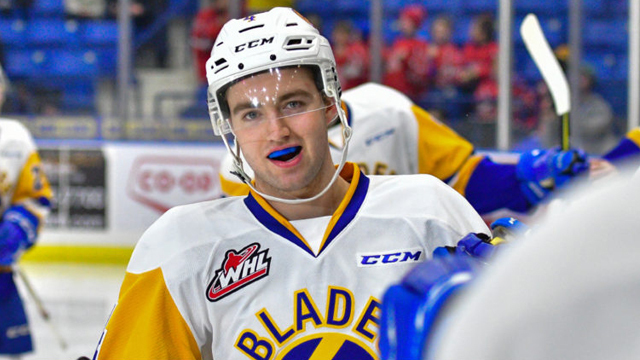 Nolan Kneen should have a great overage campaign, but the Blades will need to bridge the gap between him and a very young blueline. If they can do that with the addition of a veteran or two, they have a legit chance at their first trip to the final four since 1994. Dustin Wolf picks up where Carter Hart left off in goal for the Silvertips, while the veterans continue their development and increase their point totals, which leads the new look Silvertips to another division crown. A drop-off ensues as Wolf struggles in his first season as a starter. As a result, the likes of Connor Dewar and Riley Sutter are dealt at the deadline as the Silvertips sneak into the post-season. 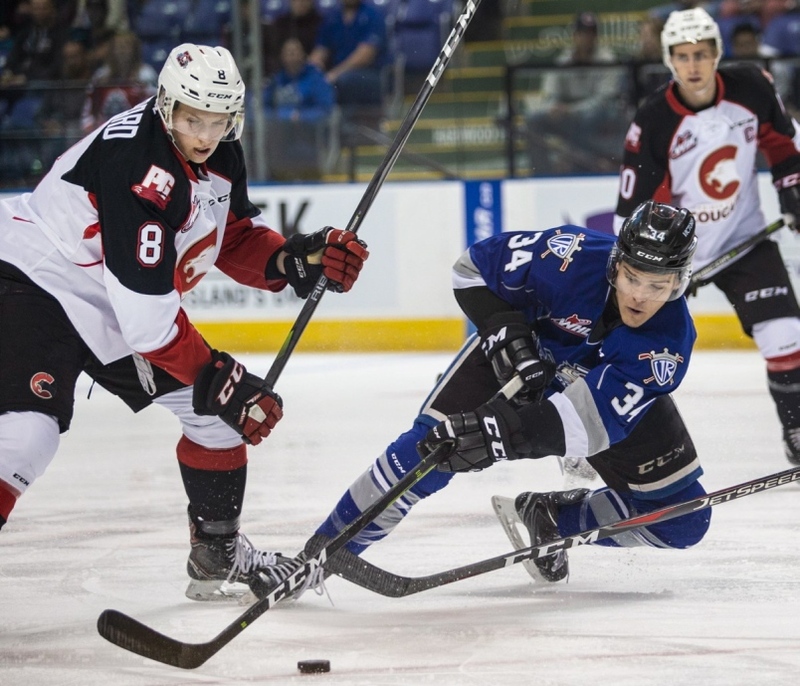 Wolf’s first season as a starter was a massive success and the Silvertips turned into Swift Current West with the additions of Sahvan Khaira, Artyom Minulin and Max Patterson from last year’s Broncos team that won the league championship. Zack Andrusiak and Robbie Holmes were later added as the Silvertips built around their core to win their fourth division title in five years, but their season would end with their fourth quarter-final exit during that span. Not only will Wolf enter next season as the top returning netminder in the league, but he’ll also be in the mix to be the starter for the United States at the 2020 World Juniors. Although the likes of Andrusiak, Dewar, Sutter, Khaira and Minulin are all graduating from the league, the Silvertips do have some good pieces coming back, though many of them are overage candidates. Holmes, Patterson and Bryce Kindopp are good offensive weapons, while Jacob Christiansen and Wyatte Wylie lead the way on defence, though Wylie could turn pro with the Philadelphia Flyers. 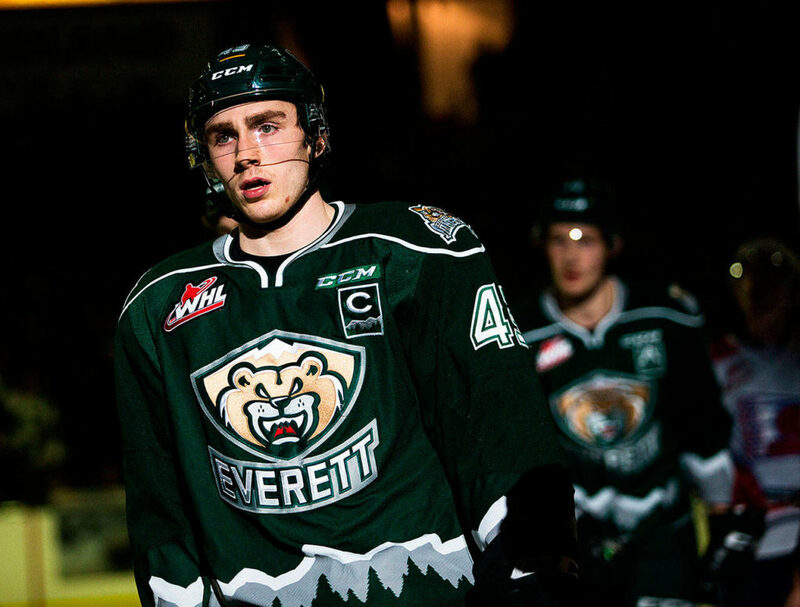 What the Silvertips brass does with their 20-year-old players could determine how they’ll fit in with what should be an interesting US Division.